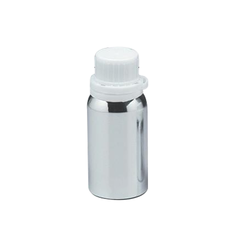 We have a variety of aluminum bottles that is used for perfume packaging. Known for being light in weight and corrosion & alcohol resistant, these bottles are offered in several designs and sizes. The bottles offered by us are not only fancy looking, but are also leak proof, which makes them ideal for storing perfume. We are one of the leading trader, exporter and supplier of DOOM style and Indoxa type Aluminium Bottles mainly used in Pesticides, Chemical, Bio-pesticides & Fragrance industries. We offer 25ml, 50ml, 100ml, 250ml, 500ml, 1000ml. Aluminum Bottles & Flasks is being preferred by more and more customers everyday for packing Perfumes, Pharmaceutical Raw Materials, Pesticides, Insecticides, Chemicals, Agro Chemicals, Adhesives etc. Aluminum Bottles and Flasks are of great advantages because it is Corrosion Free, Easy to Handle, Leak proof, Long Lasting, Light weight, Available in various sizes. We are one of the leading manufacturer, exporter and supplier of DOOM style alluminium bottle, which use of mainly in Pesticides, Chemical and Bio-pesticides industries. We offer 25ml, 50ml, 100ml, 250ml, 500ml, 1000ml. Available Size: 50 ml, 100 ml, 250 ml, 500 ml, 625 ml, 1 ltr, 1.25 ltr & 1.35 ltr. - Theses bottles have plastic threaded screw plug. We manufacture a wide range of aluminium extruded seamless bottles. We have production capacity of a million bottles a month. The capacity ranging from 50ml to 500ml and length varying from 86mm to 215mm. 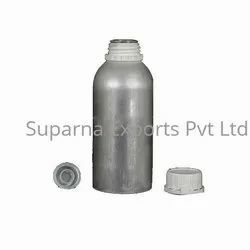 Alluminium bottles are leak proof, unbreakable and highly compatible..
We have been offering our clients with a superior range of industrial aluminum bottles that are used in the bulk packaging of liquids.